backaldrin brings new shades of the colour spectrum into play at the iba. 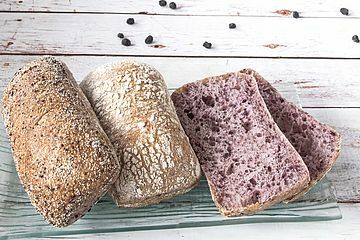 With the power berry, Aronia, baked goods display beautiful tones of lilac-purple, while the high carotenoid content of durum wheat lends a soft pastel yellow to breads and pastries created by the backaldrin master bakers. 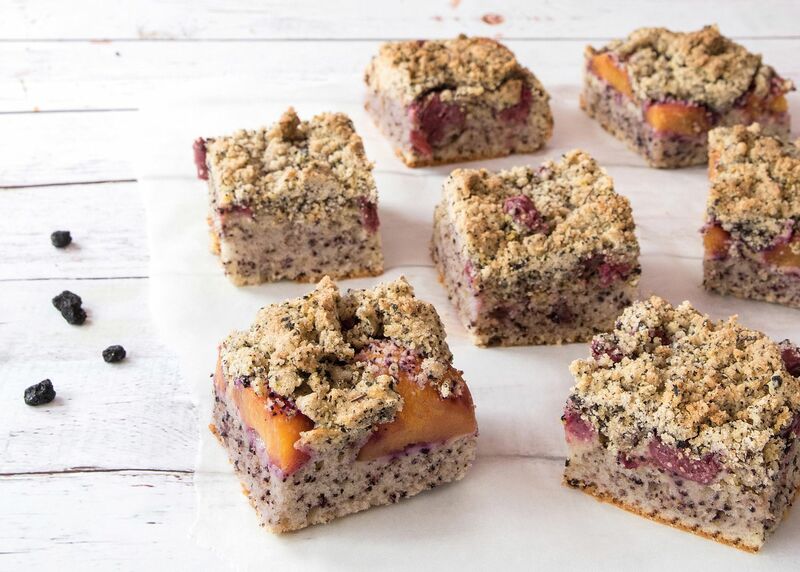 For in-store baking, the international producer of raw baking materials presents Top4Shop. The aronia berry originally comes from the north-eastern United States. It was already used by Native Americans and was highly regarded as a source of health and strength. 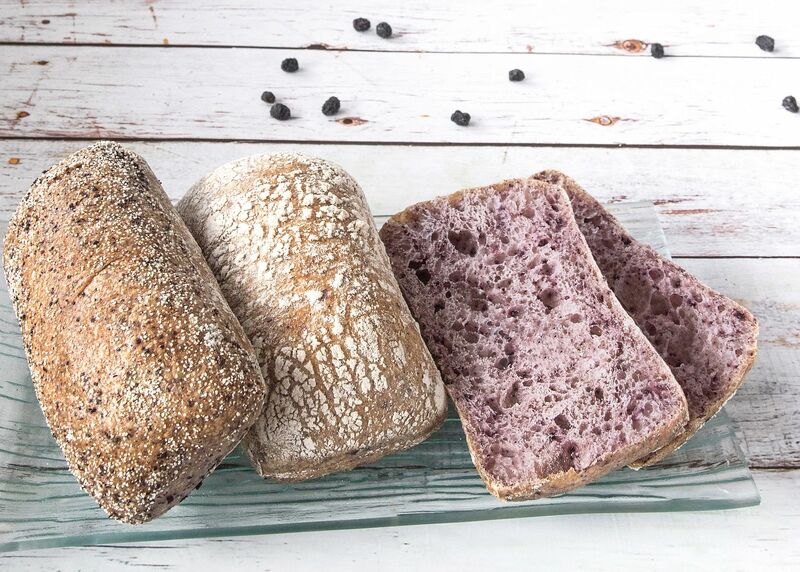 At iba 2018, the aronia berry makes a grand entrance in bread and cake creations by backaldrin. The super fruit contains many phytochemicals as well as a high proportion of vitamins and minerals. Red and blue plant pigments give the berry its deep dark red colour, which in turn lends bread and pastries an unusual violet colour. 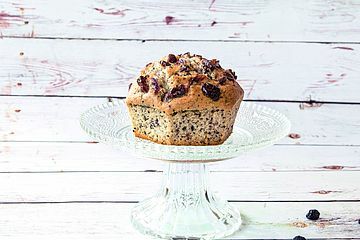 The new clean label AroniaMix convinces with a wide variety of recipes, from mixed wheat bread, baguettes and ciabatta to brioche, muffins and cakes. 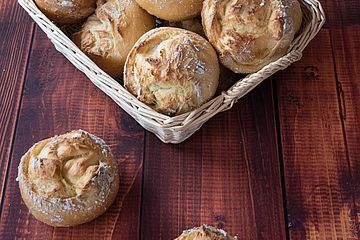 Bread and rolls are characterised by a finely splintered crust with subtle notes of caramel and a fluffy purple crumb with a fruity, subtly sweet taste. 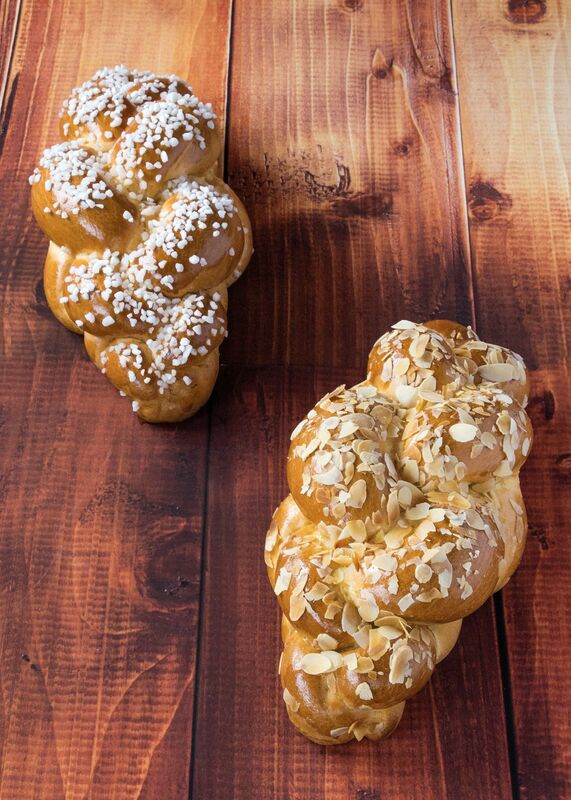 AroniaMix is also perfectly suitable for use in sweet batters and yeast dough. 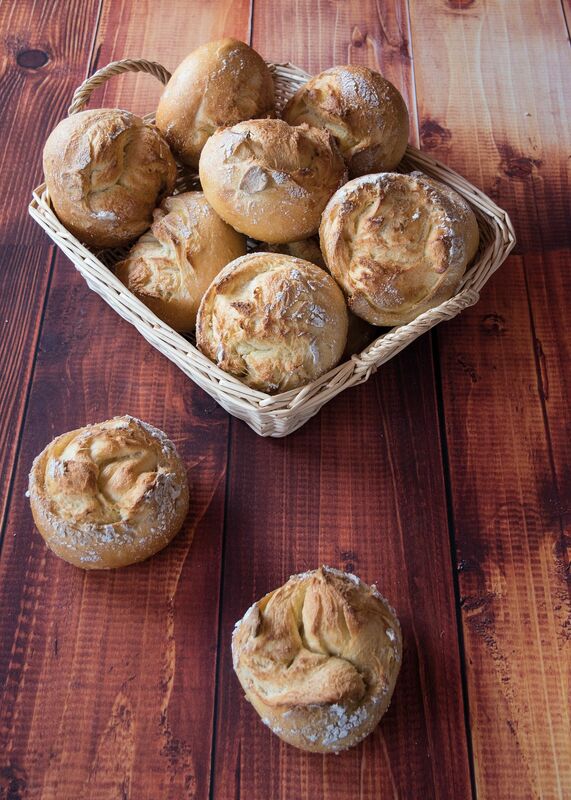 Application possibilities are unlimited as AroniaMix can be added to any type of bread and roll dough. The recommended dosage is 10 to 25 %, but can be adjusted as desired. The higher the dosage and the lighter the base product, the more pronounced the purple colour. 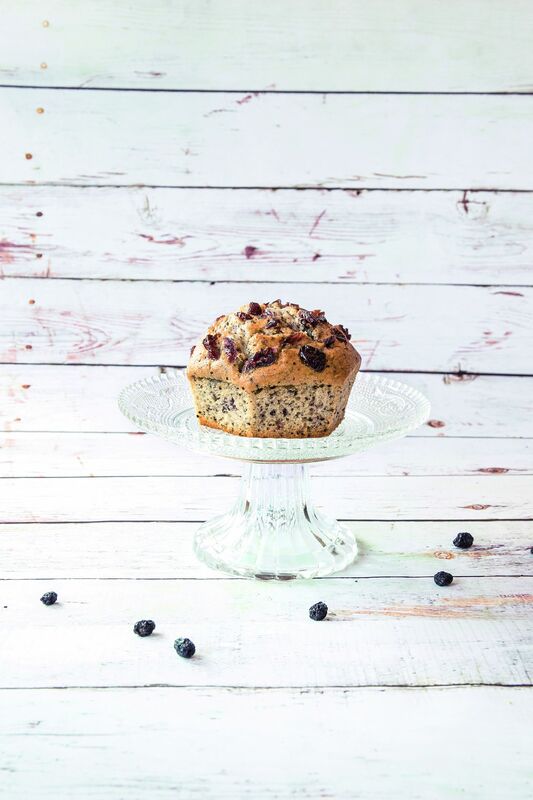 But AroniaMix not only produces eye-catching bakery products, it also enhances them with the valuable components of the power berry. The backaldrin master bakers are happy to answer any questions and provide you with further recipe ideas. Another new clean label mix, Durum 100 is made with aromatic durum wheat flour, which gives baked goods a very special flavour. Mostly associated with the production of pasta, here the hard wheat finds a new use. 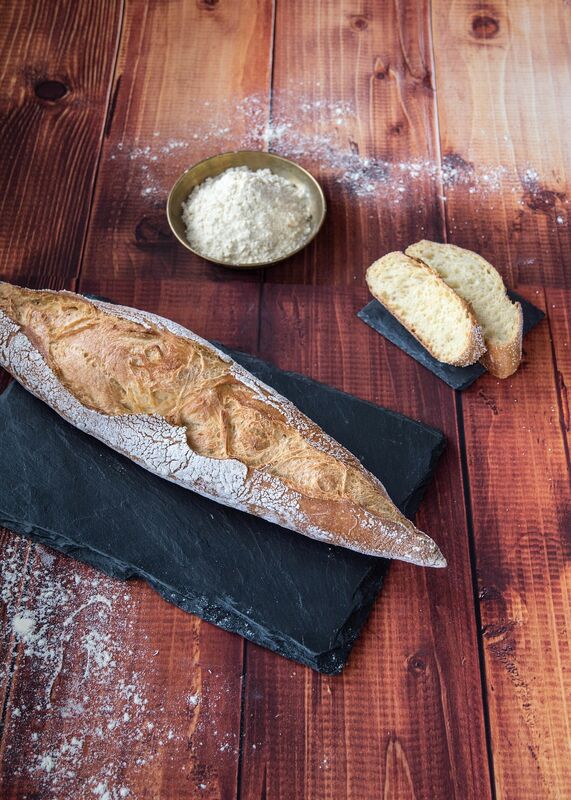 Durum 100 is particularly suitable for use in long-time dough processes. 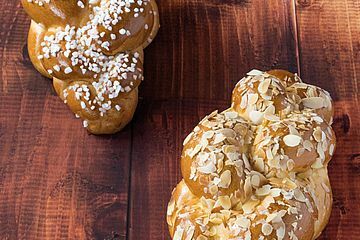 Recipes of a variety of shapes and sizes are easy to make – from sandwich loaves, baguettes, ciabatta, dinner rolls and focaccia through to sweet yeast dough pastries. The durum specialities have an attractive volume and a pastel yellow colour, thanks to the high carotenoid content of durum wheat. The intensity of the colour depends on which type of flour is added. The basic rule is: the lighter the base product, the more beautiful the colour. 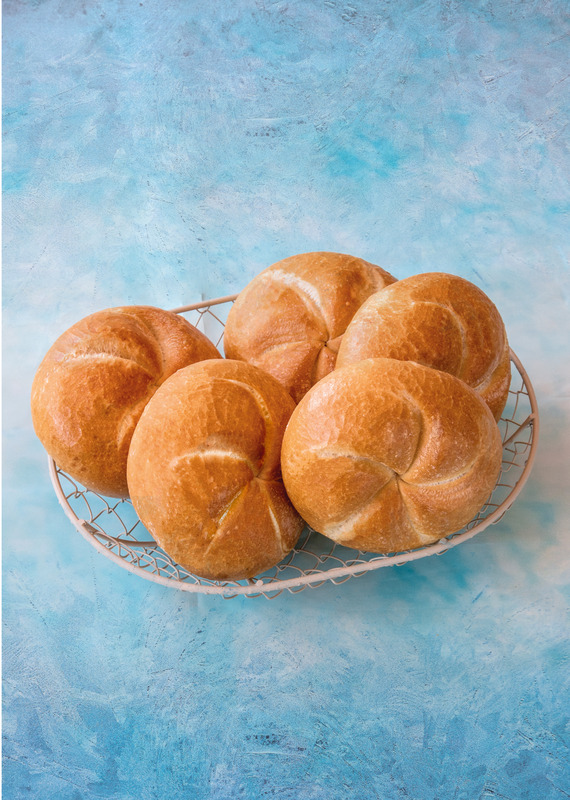 The new baking agent Top4Shop is the optimal choice for frozen doughs that come directly from the freezer into the oven and is, therefore, ideal for use in bakeries with several branches. It is also perfect for use in long-time dough processing. 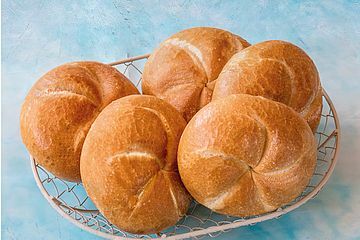 Kaiser and cut rolls are characterised by a very juicy crumb and a wonderfully golden crust. 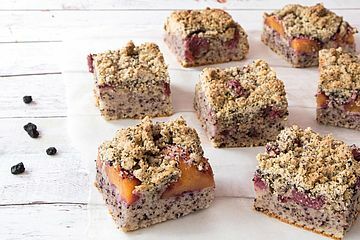 A finely splintered crust with hints of caramel is perfectly complemented by a fluffy purple crumb with a fruity, subtly sweet aroma. 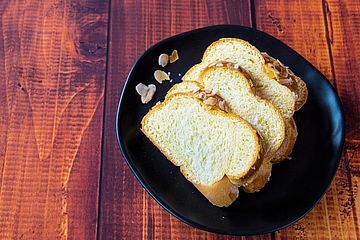 The unique fusion of mild wheat sourdough and intensely fruity notes of aronia berries and apple juice delivers an extraordinary taste experience. A blue cheese, like Roquefort, with its nutty, raisin-like taste, harmonises well with the fruity, sour notes of the Aronia Baguette. Enjoy with a glass of fruity Pinot Noir. This grain is of the highest quality, grown and ripened in rich soil under the warm, dry climate of the Pannonian Plain. The malty aroma of the crust is complemented by a wonderful play of colours, ranging from golden yellow to shades of chestnut. 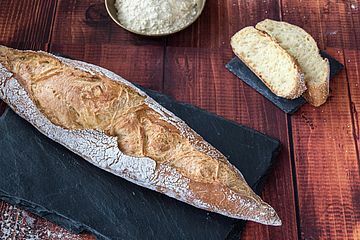 The durum flour lends the bread a mildly sweet flavour and ensures long-lasting freshness, while the juicy golden crumb encased in a strong crust adds to the unique character of durum wheat bread. 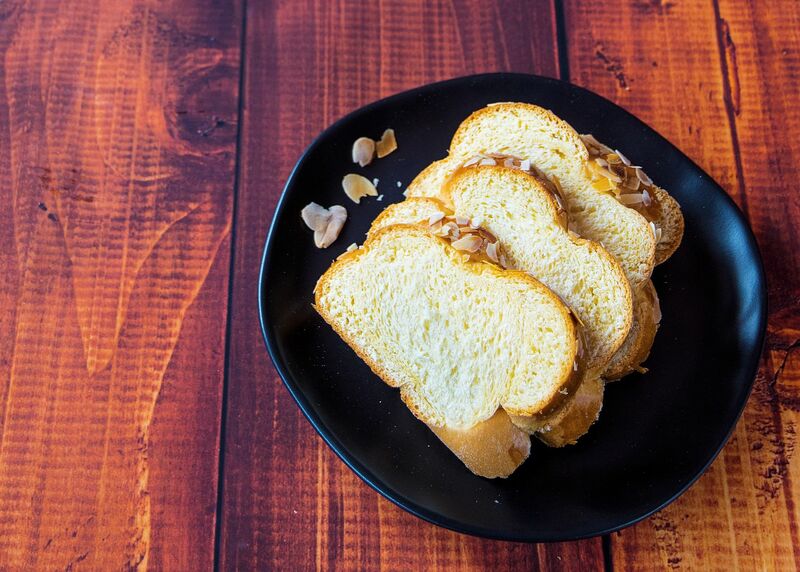 The delicious crust and soft heart are bound to please all bread lovers. My tip: particularly good when toasted – cottony soft, delicately crips with hints of vanilla and caramel. Pairs well with Sauvignon Blanc, Silvaner, Pinot Grigio, matured hard cheese, cured ham and fruity spreads. All recipes and further information about the products described can be found in the online baking consultancy.